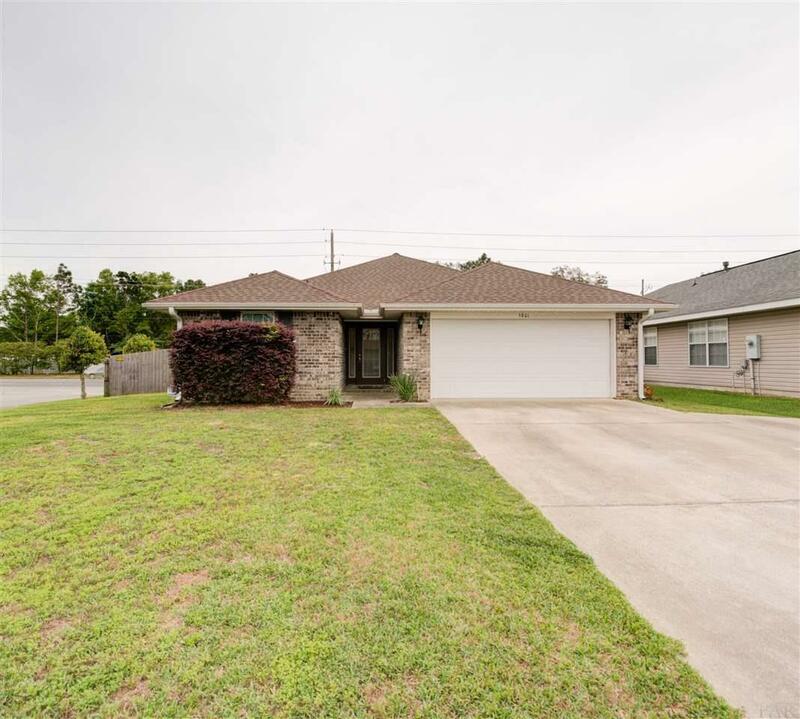 This well-maintained 3 bedroom, 2 bath house is conveniently located in the Providence Manor subdivision. Just minutes from the interstate and a quick drive to local shopping, schools, and hospitals. This 1, 500+ square feet home features beautiful wood look flooring, an open living area, an oversized garage, and a privacy fenced backyard! Once you enter this inviting home you'll see the openness of the living area that flows into the dining room and kitchen creating a space perfect for entertaining or for a growing family. The living area features a cozy gas fireplace, high ceilings, and there is an open patio just off of the living room - perfect for summer cookouts. The kitchen provides plenty of cabinet and counter space, all stainless steel appliances, and a breakfast bar! The Master suite is very spacious and features a double vanity, trey ceiling, garden tub with a separate shower and a walk-in closet! Just down the hallway you will two other spacious bedrooms and a guest bathroom.